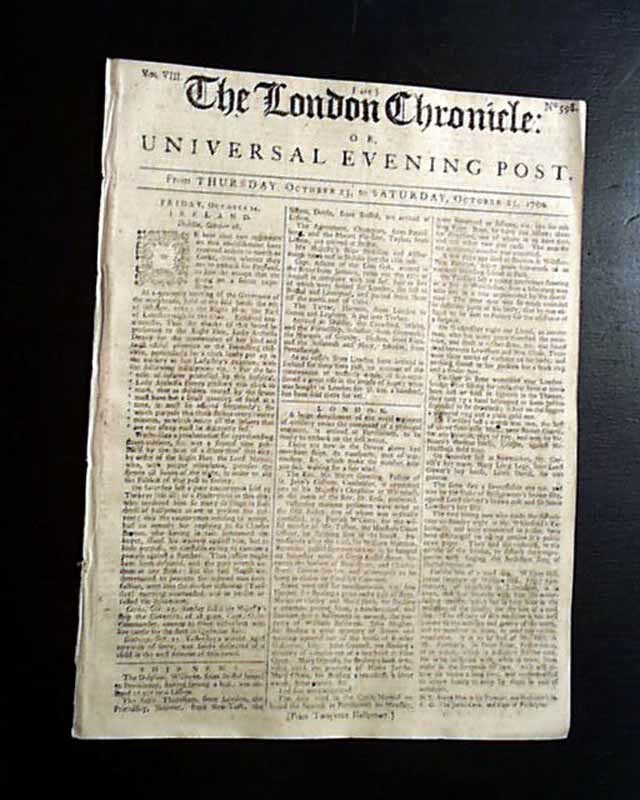 Only to be had in a London newspaper is this very rare, same-day report of the death of the king. 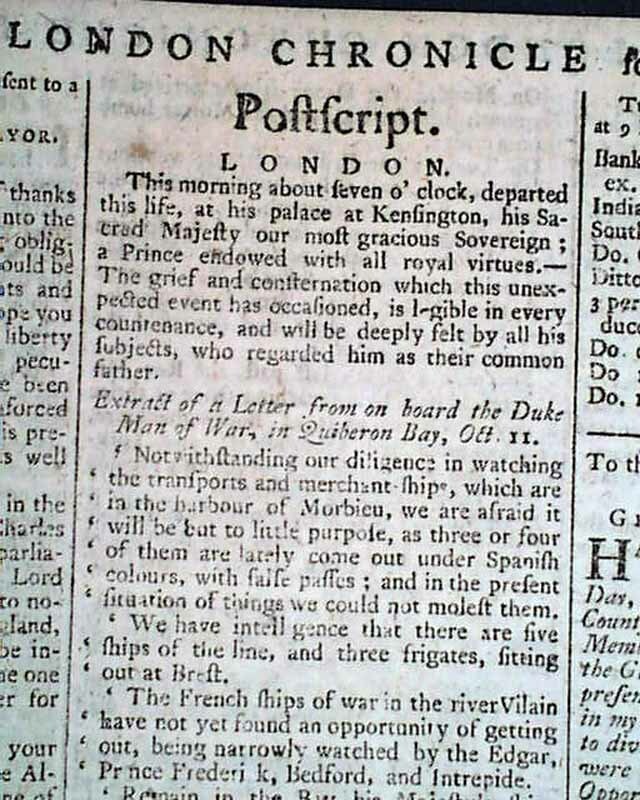 At the top of the back page is a heading: "Postscript" with news recently received, the text noting: "This morning about seven o'clock, departed this life, at his palace at Kensington, his Sacred Majesty our most gracious Sovereign; a Prince endowed with all royal virtues. The grief and consternation which this unexpected event has occasioned, is legible in every countenance, and will be deeply felt by all his subjects, who regarded him as their common father." 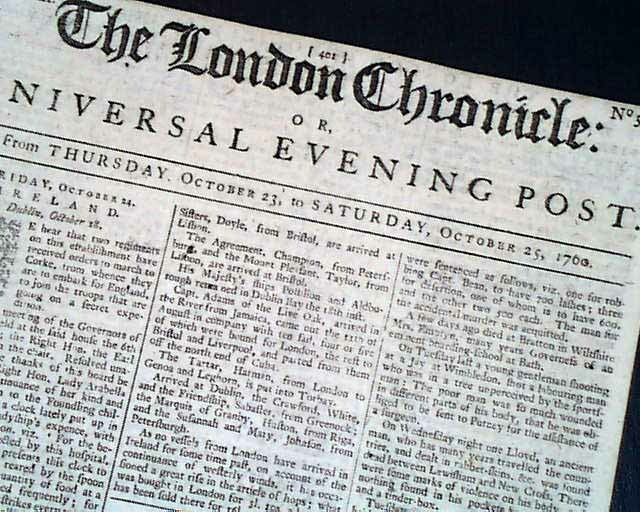 (see) This was the report of the death of King George II, who history tells us died on October 25, the very day this newspaper was printed. Eight pages, 8 by 10 1/2 inches, very nice condition.